But you are the ones chosen by God, chosen for the high calling of priestly work, chosen to be a holy people, God’s instruments to do his work and speak out for him, to tell others of the night-and-day difference he made for you — from nothing to something, from rejected to accepted. 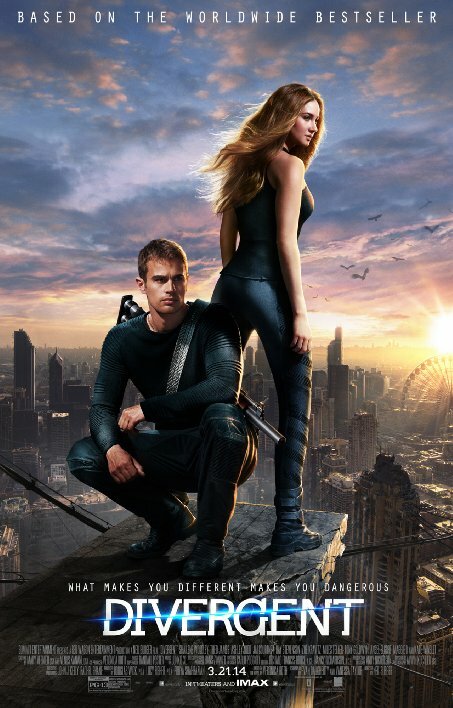 Divergent is a Sci-Fi thriller with a boy-meets-girl twist, all rolled up in a good versus evil pita wrap. It’s “Hunger Games” meets “The Matrix” with a pinch of “Inception” thrown in for fun (you gotta know your movies!). IMDB describes Divergent this way: “In a world divided by factions based on virtues, Tris learns she’s Divergent and won’t fit in. When she discovers a plot to destroy Divergents, Tris and the mysterious Four must find out what makes Divergents dangerous before it’s too late.” You gotta watch it at least twice to get it, a.k.a. Matrix and Inception. I like Divergent because of the spiritual undertones and overtones, the mystical messages and even the reversed religious rhetoric. The film is filled with sanctimony and sacrifice, ritual and redemption, self-righteousness and sordid sacrilege, all rolled up into one solid “right will eventually overcome wrong” saga. Divergent’s message is for those of us who know that we don’t fit into the mainstream and yet struggle to fit in anyway. We know that our place and our position and our purpose is not to assimilate but to advocate; to right wrongs, to fix problems, to correct mistakes, and to run the bad guys out of town. The film is so blatantly and deliberately and unashamedly supernatural it runs the risk of being overly preaching and pretentious. But it works for me. Divergent’s heroine acts and sounds and looks a lot like the men and women of old who are or belong in the hallowed Hall of Faith: Abigail and Asenath; Elijah and Elisha; Hannah and Hadassah (Esther); Ruth and Rebecca; Moses and Mordecai. None of these Biblical greats “fit in” with the crowd; on the contrary, they were ordained by God to stand out in order to stand up and fulfill Heaven’s marvelous and majestic mission for their lives. And the mission was and is always external and exterior to our individual, idiosyncratic way of thinking, for God’s plans are always much bigger and much grander and much greater than we can ask or think. Likewise, ours is to speak up, to reach out and to look within; ours is to blow whistles, to tear down evil, to build up good, and to do what others want to do but are afraid to do. The heroine in Divergent is a standout who wants to stand-down but eventually learns that she must stand up or she and others like her will be stamped out. We’ve heard this story line before, but reminders are always a very good thing. < Previous Take Me Out To The Ball Game!